I know my friends know I'm not one to rap but oh my god this is the shite. PLEASE listen to it. I'm so welcoming summer with this vibe. So anyway, with Clear Blue Skies in mind, let me share with you the eye make-up I did today. 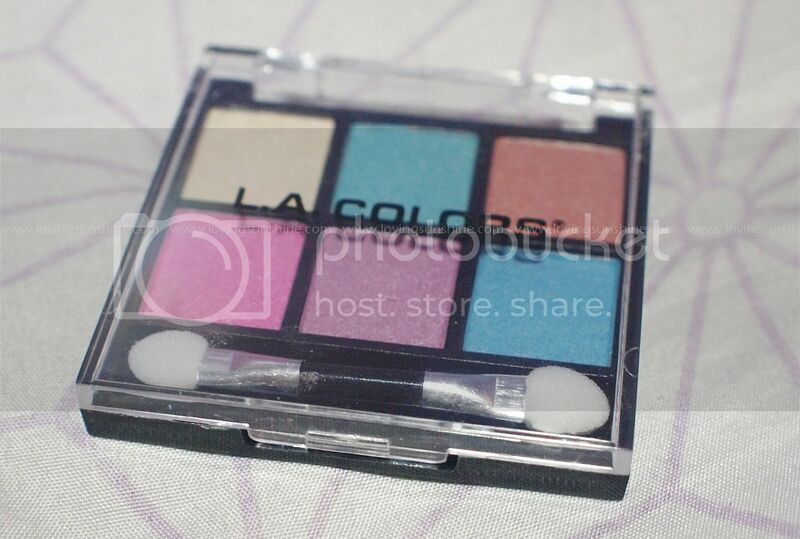 It's nothing complicated, I just did it because I wanted to play with the blue LA Splash mascara The Sneakerette got me--completely baffled by how creamy blue it is--and because I wanted to have some fun with my LA Colors Eye Candy palette. Hm, lots of LA going on, had no idea! I got it cause it had such fresh colors! What do you think? Here's a little swatch I did on my arm so you get an idea how each shade delivers. So anyway, first prime your eyes. 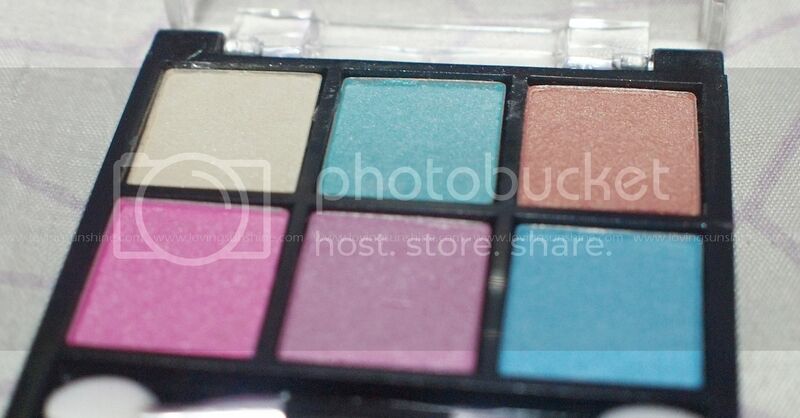 When using pastel colors, I consider it irresponsible to not prime your lids. I used Nyx Milk eyeliner to prime my lids. Then I dove in and applied the yellow shade on the inner corner of my eye, the green on the outer corner. Don't forget to use the same green to color just outside your waterline. I also dotted a pink shadow on my tear duct. Then I lined my eyes using a Violet Essence gel liner. It was super lovely to work with! Swipe on blue mascara! I used LA Splash! Repeat on the other eye. It should look like this. I emphasized the pink on my tear duct, then tried to SMIZE a lot. Oh yeah, it pays to apply mascara on your bottom lashes too. I love how the blue mascara covered my lashes entirely! A bit clumpy though! Despite the clumpiness, I love how blue mascara works wonders as a bottom lash color. I think it emphasized the thin line of green shadow I applied earlier. What do you think? Without further adoooo, here's a random video! I don't effin' know how to change the still! I thought I'd upload my random vlogs on my YT channel (yes I have one! LOL) but I was afraid to share this emotional rambling! Hope you are SMIZING with me. Have a great day! 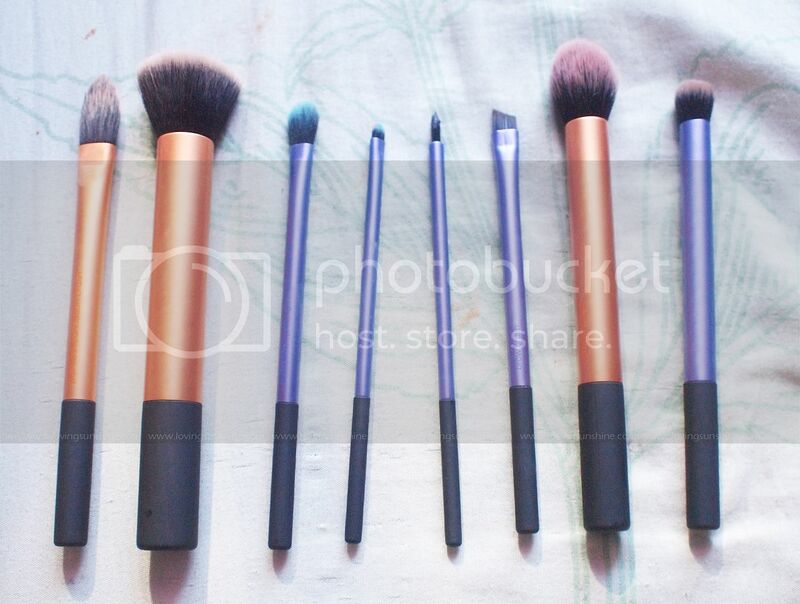 I have been contemplating getting the Real Techniques brushes so thanks for the review.